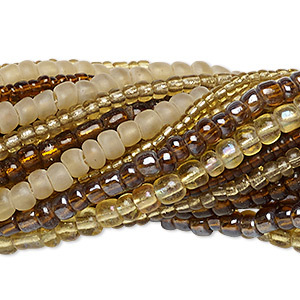 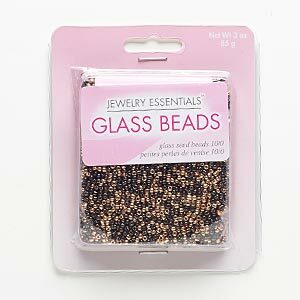 Seed bead mix, glass, opaque metallic dark bronze and dark gold, #10 round. 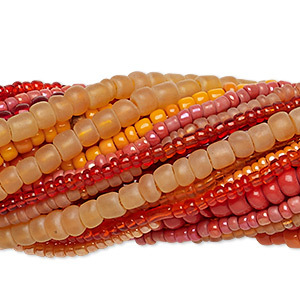 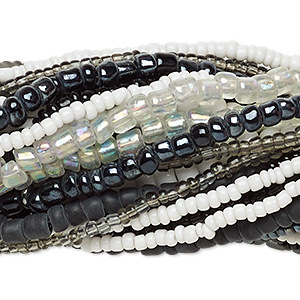 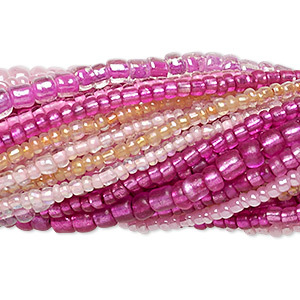 Sold per 85-gram pkg, approximately 5,600 beads. 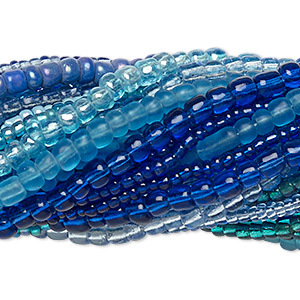 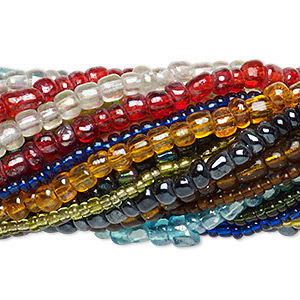 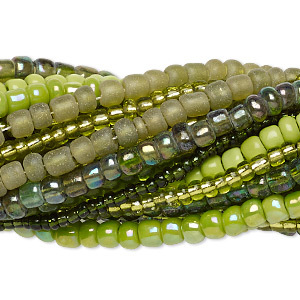 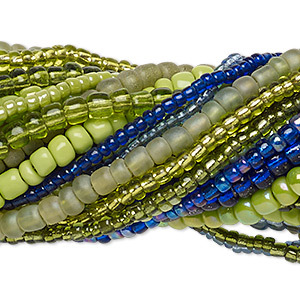 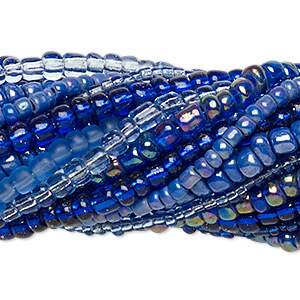 Seed bead mix, glass, mixed colors, #10 / #8 / #6 round. 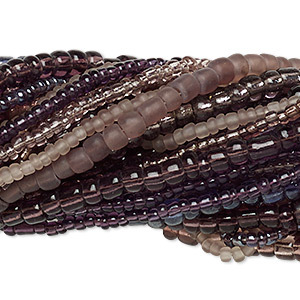 Sold per pkg of (20) 14-inch strands.